The Fed Submit Mugshot (Add-On) is an innovative, cost effective way to integrate facial recognition software and DPS photographic submissions into your current Mentalix Fed Submit system. Capture fingerprints and store important visual data including mug shots, tattoos, and identifying marks all in one place to increase identification accuracy, processing efficiency, and ease of reference. 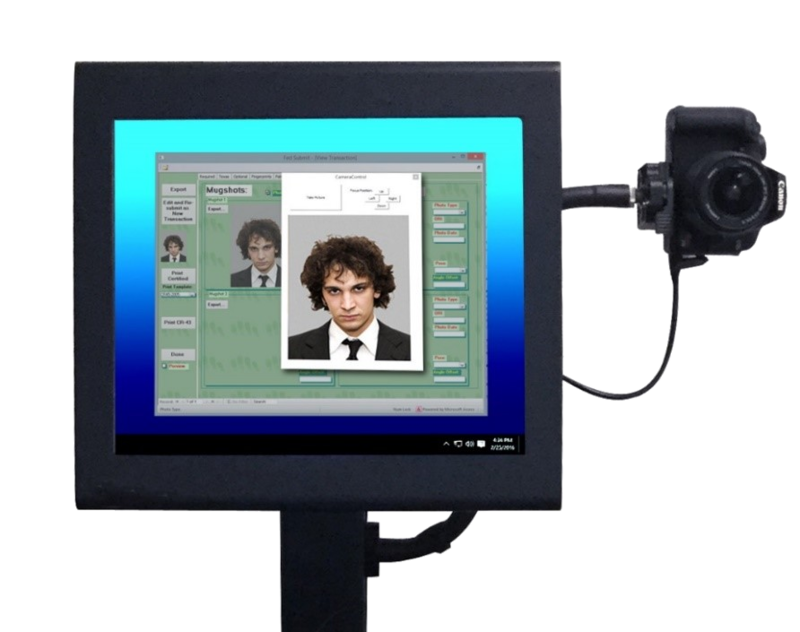 Fed Submit’s facial recognition capabilities can be accessed and utilized with both Mentalix’s Release Verification and Remote ID products, making the Mugshot (Add-On) a dynamic upgrade with multiple live scan applications. • Streamline processing with a single, front to back system, all in one convenient place. • Locating the correct transaction has never been easier, increasing efficiency and reducing operator error with visual cues. • Additional modes of identification improves accuracy of matches on a local and federal level. • Integrating photo capture with fingerprinting allows identifying information to be stored in single transaction record for easy reference, transfer, and storage. • Low investment with a high return on functionality, usability, and efficiency. • The Mugshot (Add-On) can be used to expand the features of not only the Fed Submit system, but also the Release Verification, and Remote ID products as well. • Advancements in facial recognition software and stricter identification laws makes the ability to capture and catalog high quality images invaluable. • Submitting photographic information alongside fingerprints just makes sense. For accuracy, for building state and federal facial archives, and for moving forward into the future. TCP/IP network connection (an encrypted, public or dedicated connection using dial-up, DSL, cable or high-speed network, as required by your destination agency). If your destination agency is Texas DPS, qualifying agencies will only need an Internet connection for exchange of encrypted data with Texas DPS. Non-qualifying agencies will need a dedicated line, router and firewall. To receive the full benefits of Mentalix maintenance, you will be required to provide remote access to your system. This will allow Mentalix support personnel, while under your supervision, to diagnose problems on your system. To enable remote access, you must install the LogMeIn client. If your computer requires an add-on adapter card to make a FireWire port available, use an Adaptec or SIIG FireWire adapter card.